PDFs are the closest thing the internet has to a paper document. They’re standard, they look the same on every system regardless of what fonts you have installed, and they typically aren’t something users can edit. But if you want to keep them secure, then you need to know how to password protect a PDF. Fortunately, PDFs have support for password-protected encryption built directly into the format. Whether you’re running Windows or MacOS, there are a few different methods to password protect a PDF, and this guide will take you through each of them, step by step. If you’re more interested in making changes to your PDF, we have a great list of the best PDF editors too, and a guide on how to merge PDFs. Step 1: Navigate to the main Adobe Acrobat Pro DC free trial page and click the blue “Get Started” button. You’ll need to sign up for an Adobe Creative Cloud account which involves giving over your name, email address and creating a brand new password. 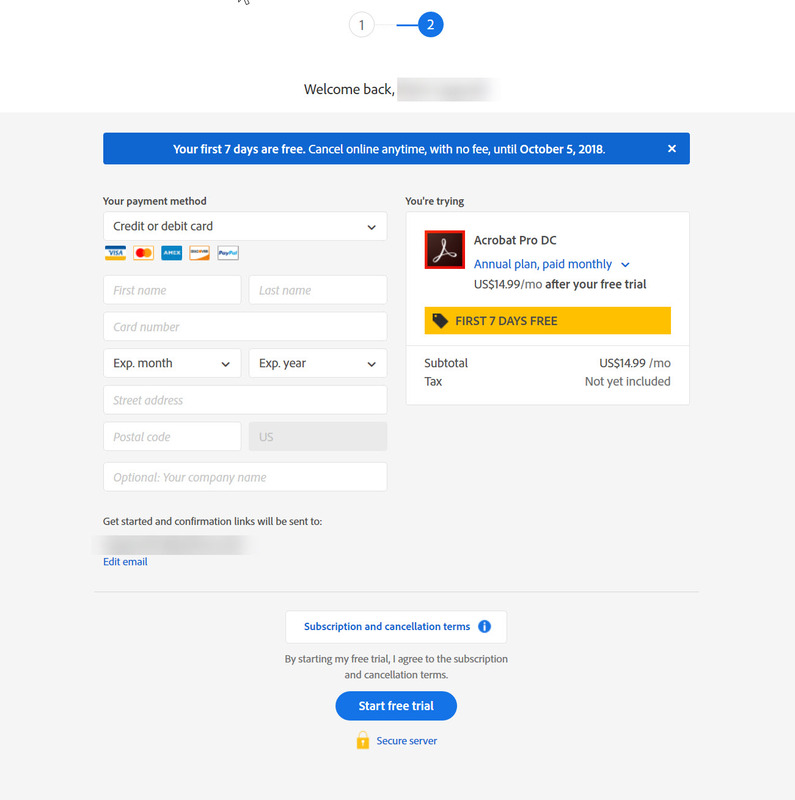 You’ll also have to input a payment method so that Adobe can charge you after the trial period — be sure to cancel prior to the indicated date if you don’t want to keep up the subscription. Once that’s all input, click the sign-up button at the bottom of the forms. From there the download will begin. Step 2: If you don’t already have Adobe Acrobat Reader installed, then you’ll need to install the DC Pro version, otherwise it will simply upgrade what you already have installed to the fancier version. If asked whether you want to buy or simply continue your trial for now, pick the option to continue. Step 3: Once Adobe Acrobat Pro DC is launched, make sure you’re signed in using the link in the top right-hand corner. Then, click the “File” menu in the upper-left corner, and select “Open.” Choose the PDF file you want to password protect from its respective save location and click the “Open” button. Step 4: Click the “File” menu again when viewing the open document, followed by “Properties” and then click the “Security” tab. Step 5: Click the drop-down menu beside “Security Method”, then select “Password Security” from the list of options. Step 6: A window should appear prompting you for a password. Check the box beside “Require a password to open the document” and enter your desired password in the corresponding text field. If you’re sending this password to others, it’s probably best to choose one that you don’t use for other services — which is actually good advice in general. Recent versions of Adobe will even rate how difficult your password will be to guess, so try to pick a password that gets a strong rating. Preferably one that includes a combination of lower-case letters, capitalization, and numbers. If you’re worried about forgetting this password, you can always use a password manager. Password protecting a PDF document isn’t necessarily a catch-all. The “Document Security” menu of Adobe Acrobat DC, for instance, will additionally allow you to password protect certain tasks such as editing and printing. Here’s how to do just that. Step 1: Open the PDF document as you would normally and access the “Security” panel as previously outlined. Here’s an overview of the available editing limitations. Commenting, filling in form fields, and signing existing signature fields: This allows the person to leave comments on the document, fill in sections that have boxes to add text, and electronically sign the document. Any edits except extracting pages: this allows others to make any necessary changes to the document except for cutting it down. That’s it! Now your PDF is password protected. When opened, this password prompt will automatically appear. Not everyone wants to throw down a healthy portion of their paycheck every time they want to password protect a document. Thankfully, there are alternatives to Adobe’s premium suite so long as you don’t mind opting for a third-party utility with barebones features and design aesthetics. Once installed, PDFMate Free PDF Merger allows you to combine specific pages and encrypt entire documents without the exuberant price tag. Additionally, it lets you set permission passwords in a similar manner to Adobe Acrobat and Reader — meaning you can set specific passcodes for tasks such as editing, copying, and printing — although the interface is far less attractive. 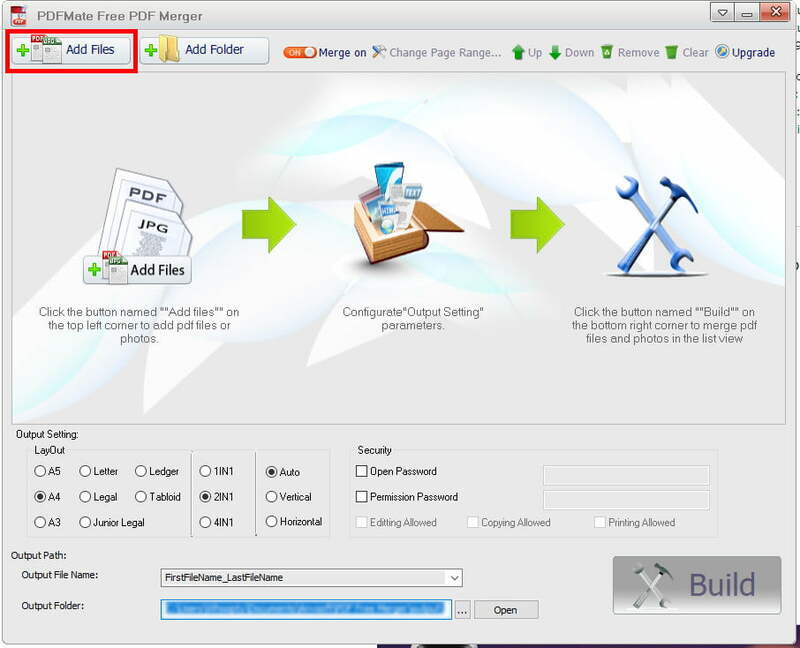 Step 1: Head over to the PDFMate Free PDF Merger website, click the green “Free Download” button near the top of the page, and then follow the on-screen installation instructions. When complete, launch the application. Step 2: Click the “Add Files” button with the addition sign in the upper-left corner and double click the PDF document you want to password protect. Step 3: Your PDF will then automatically appear in the list of files. Check the box beside “Open Password” and enter your password into the corresponding text field. You can also check the box beside “Permission Password,” which will allow you to enable password protection for editing, copying, and printing by checking the appropriate tasks underneath. Step 4: Select “Build” in the bottom-right corner of the application window when you’re finished adding your password. Afterward, a folder will automatically open with your new Password protected PDF. Presto! Your Mac comes with Preview, a piece of software that’s capable of opening most documents and image formats. It also offers some basic editing capabilities, which is why we called it the hidden Paint app on every Mac. As it turns out, this same program can encrypt any PDF in just a few steps. Step 1: Launch Preview, click the “File” menu in the upper-left corner and select “Open.” Afterward, choose the PDF file you want to password protect from its respective save location and click the “Open” button. Step 2: Once you’re finished editing the PDF document you want to password protect, click the “File” menu again and select “Export” from the resulting drop-down. Then, name and select a save location for the resulting file, check the box directly left of “Encrypt,” and enter your desired password in the space provided. Verify your password if prompted. Step 3: To ensure that your PDF is protected, open your newly-modified PDF in Preview. A password prompt screen should then appear, indicating you successfully password protected your PDF document. Afterward, enter the correct password and enjoy the privacy of your new PDF!